Part of me felt that I owed this blog reviews on each of my favourite films, but upon deciding that this may be a bit out of date and not of interest to most people I considered various ways I could still discuss the films I love the most without writing a full article on each of them. There is something just so wonderful about this movie; I tend to not really watch rom-coms, they’re always pretty similar and generally not even that funny, but Crazy, Stupid, Love has a bit more depth to it which I feel makes it stand out from an otherwise over-crowded genre. The character development here is something that I enjoy watching unfold despite how many times I’ve seen this film – the almost reversal of personality between the characters of Steve Carrell and Ryan Gosling is done very discreetly but has very effective results. 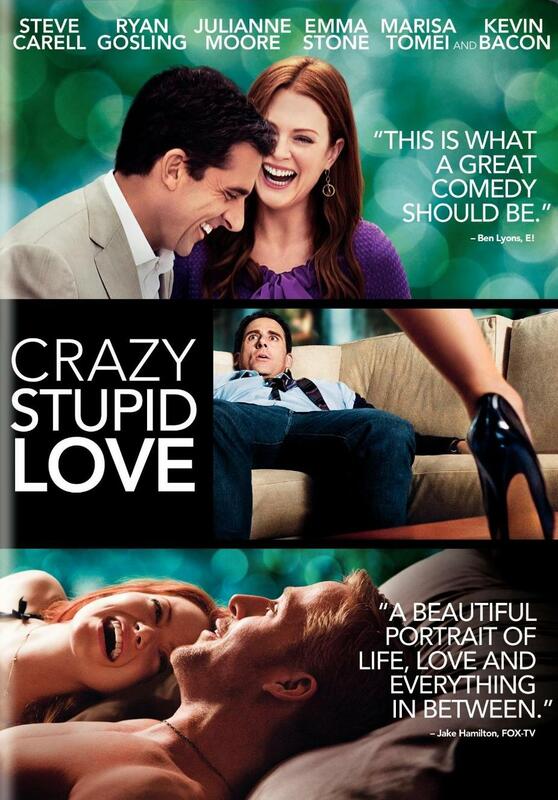 Despite being laugh-out-loud funny, Crazy, Stupid Love definitely provides a bit more than a few laughs, filled with some brilliant messages about how we interact with each other and what family dynamic should (or precisely shouldn’t) be like makes this film relatable, whether you’re a teenager or a parent. Of course, this film is undoubtably not technically brilliant but everything it does is very smart and that makes up for the things it is potentially missing. If you’re looking for a sharp, funny and uplifting comedy then this is the one – my go to film whenever I’m ill or just a bit bored. Having only seen this film once due to the fact it hasn’t been released on DVD yet, the fact that I can place it in my top 5 films suggests how brilliant it is. There’s something so human about this movie, understandable when you consider that the movie basically just follows a boy as he grows up, yet whilst watching it’s impossible to distinguish that this isn’t actually real life, simply real life being copied. Ethan Hawke delivers an out of this world performance as the supporting role of Mason’s father – he delivers it with such great conviction, contributing to how believable it all is. All this praise comes without considering the delivery of the main character Mason, thanks to Ellar Coltrane – it all seems to come so naturally to him, but then again, doesn’t life come naturally to us all? Boyhood is one of two films that have left me wanting more this year (the other is Interstellar) and this to me is a sign of a brilliant film. What Boyhood does that makes it stand out for me is the fact that of course we’d want more, throughout the film relationships are broken and characters are left behind without further mention, but isn’t that what happens in life? 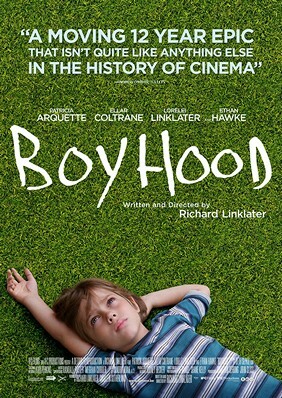 A brutally honest film, Boyhood should win a ton of Oscars come awards season. 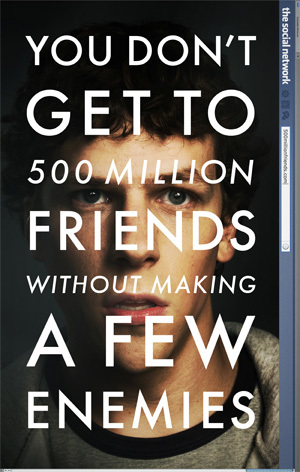 The Social Network is, in my opinion, one of the most overlooked and underrated films of the 21st Century. Despite being relatively successful awards-wise, this is a film that was almost forgotten once awards season was over and to some extent forgotten during it. David Fincher is so precise in every single detail of TSN, a key thing that I love about his work – take the scene where Eduardo takes two beers bottles, but Mark only takes one, a visual representation of the dynamics of their friendship, or more so, the lack of friendship they share. It’s brilliantly acted too, Andrew Garfield delivers a stand-out performance and Jesse Eisenberg plays Mark Zuckerberg with such conviction that you almost hate him as much as you hate his character. Fincher is fantastic at making the viewer feel a bit uncomfortable, by this I mean that whilst watching you don’t know where to stand – do you hate Mark? Or, do you feel a little bit sorry for him? The opening scene is one of the most memorable – a simple conversation, yet with so many subliminal messages that reveal so much about Mark yet so cleverly that you don’t really notice. I think that people need to watch this film at least twice to really appreciate it, it’s just alright on the first viewing, but upon the second you pick up so much more from it and appreciate it in ways you would never have imagined. Even if you dislike this movie, it’s impossible to criticise the flawless soundtrack; a soundtrack that captures the whole essence of the movie in just a few notes. Inception truly blows your mind. In my opinion, Christopher Nolan’s finest work, its a film that really messes with everything that you believe to be true. Before this film I’d never really seen anything similar – it made me think so much, debatably too much about what I was thinking and feeling as well as changing the way I watched every film. What I really love about this film is that Nolan doesn’t give you all the answers you’re looking for, you have to think and work things out for yourself and despite the fact that most of the answers are revealed towards the end of the film, some things are left up to the viewer’s interpretation, meaning that everyone gets something slightly different out of the film. For me, Joseph Gordon-Levitt is particularly good – yes, DiCaprio stands out, but I really enjoy watching Gordon-Levitt’s quiet but awesome character develop into one that really intrigues me. 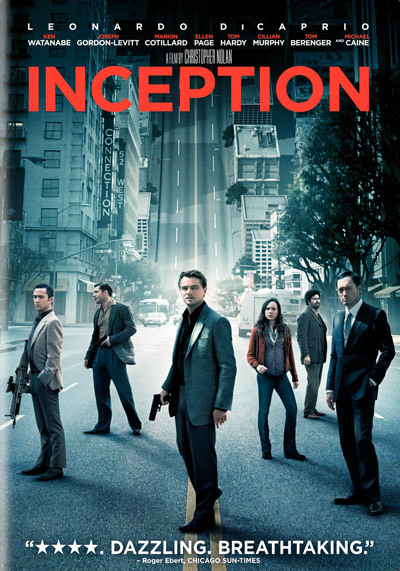 Love it or hate it, Inception requires every ounce of your attention, but give it what it wants and it will reward you with a fantastic experience. It doesn’t even feel that dated, despite being almost 30 years old – one of those films that perhaps could be considered timeless due to the fact that it has simply got a brilliant story. If you don’t have a good story, the film is going to be a bit rubbish – add all the effects you want, people aren’t going to like something they can’t follow. Ultimately, it’s just really really likeable. You can’t really fault a film that makes everyone smile and think ‘oh yeah, I enjoyed that one.’ Sometimes you have to remember that films are all about telling a story and I reckon that a lot of older films do this best. 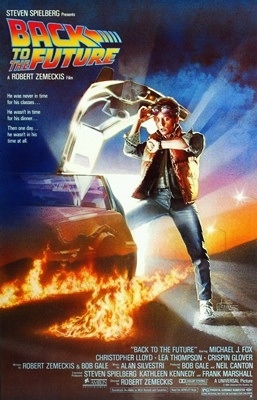 Back To The Future is my favourite – why? I just really love it.